Jimmy Stockton started this small engine repair service in 1998, to give people in the community the type of personal, dedicated and professional small engine service he felt that they needed. Many satisfied customers later, quality service is still his goal with each small engine he works on. Black Creek Services, Inc. is a local, small business, located in Middleburg, Florida, which has been family owned and operated, since 1998. Our goal is to provide every customer in the Jacksonville Florida area the best service possible for their small engine, and at a reasonable price. We want you to be a happy customer of Black Creek Services, Inc.
We work to make a positive impression with our small engine repair service, so you will think of us first when you need help with your small engines, and to recommend us to your friends and neighbors. A good recommendation from a satisfied customer is important to staying in business. 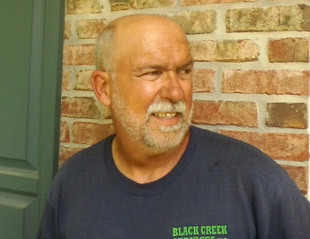 Black Creek Services, Inc. is a small engine repair service, located in Middleburg Florida. We repair and maintain small engines and portable equipment in Middleburg and surrounding communities such as Fleming Island, Orange Park, Jacksonville, and Green Cove Springs. Call Black Creek Services, Inc. 904.449.3986 when you are having problems with one of your small engines; on a portable generator, a pressure washer, a lawn mower, or lawn tractor.